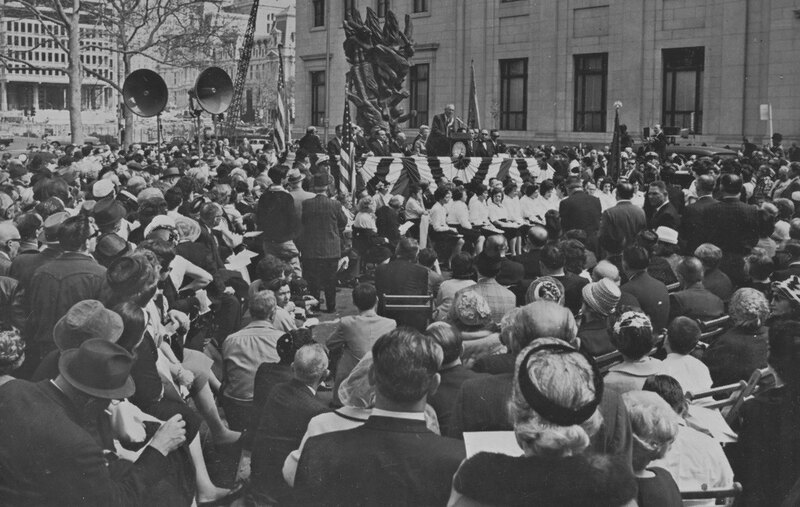 On April 26, 1964, a group of Holocaust survivors and community leaders, including Dalck Feith, Harold Greenspan, Abram Shnaper, Joseph Smukler together with the Association of Jewish New Americans and the Federation of Jewish Agencies of Greater Philadelphia, presented to the City of Philadelphia a towering bronze sculpture that constituted the first public monument in North America to memorialize the victims of the Holocaust. 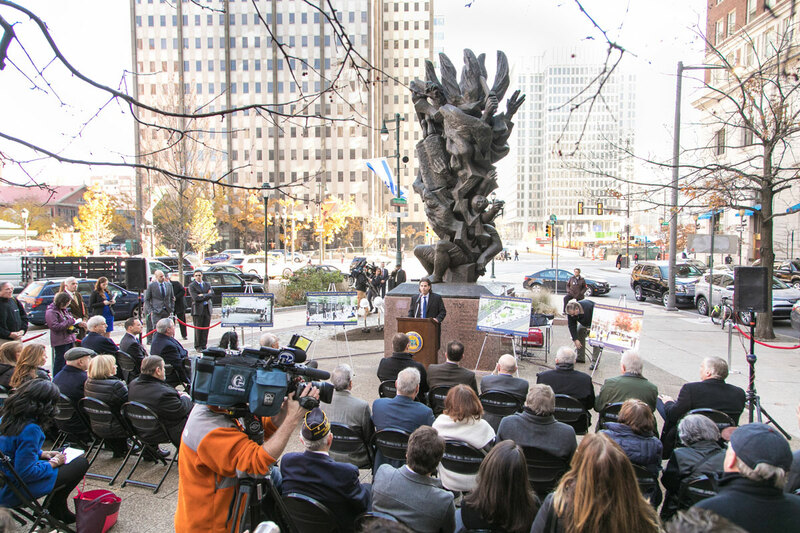 Titled Monument to Six Million Jewish Martyrs, this sculpture was created by internationally renowned artist Nathan Rapoport, who was also a Holocaust survivor. 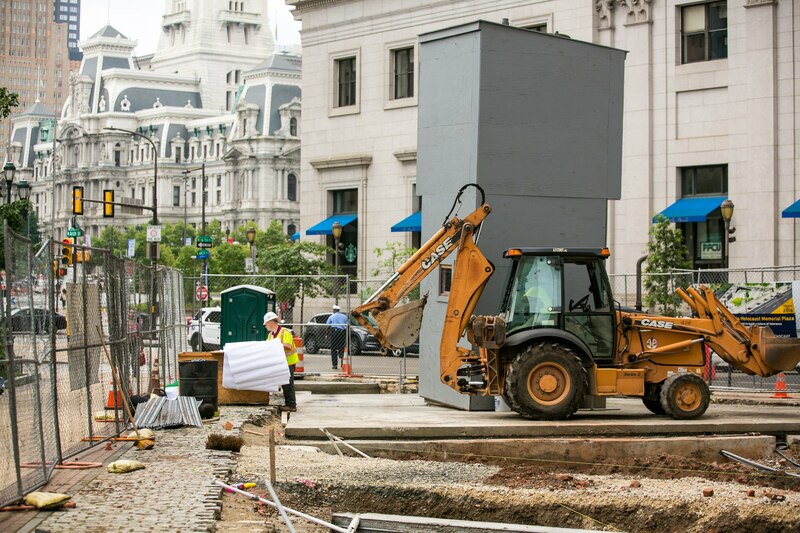 Located at 16th and Arch Streets at the head of the Benjamin Franklin Parkway, it remains the only major public monument in Philadelphia dedicated to the remembrance of the Holocaust. 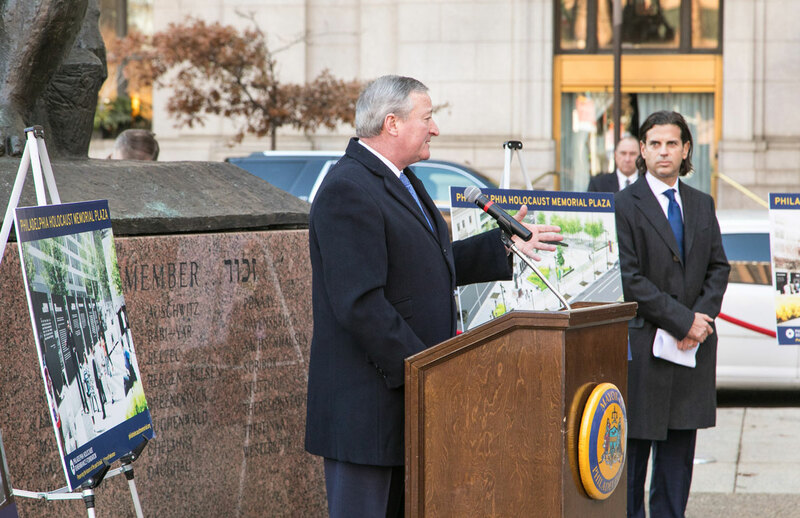 Beginning in 2006, the Philadelphia Holocaust Remembrance Foundation (PHRF) spearheaded efforts to preserve the existing monument and reactivate the site for enhanced public access and education. 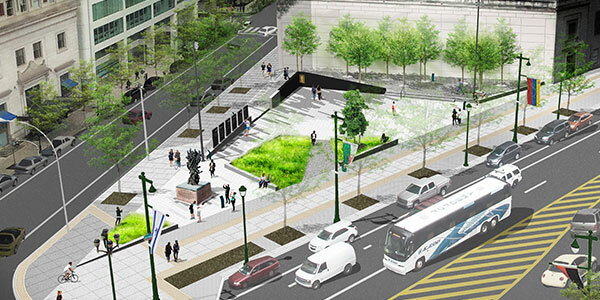 After significant planning and early fundraising, PHRF engaged award-winning architecture and design firm Wallace, Roberts & Todd (WRT) and assembled a world-class group of content advisors and Philadelphia civic and corporate leaders to redesign, reconstruct, and expand the existing site of the Monument into the Holocaust Memorial Plaza. 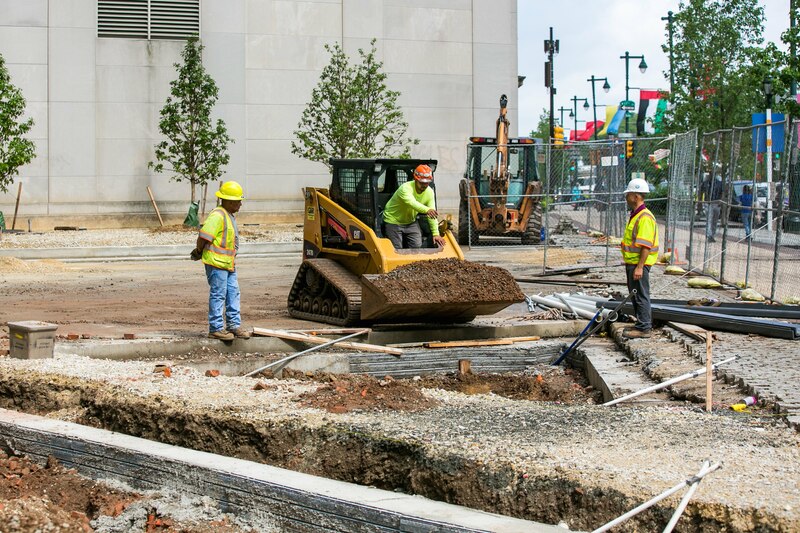 Construction at the site began in the winter of 2017 and was completed in October 2018. 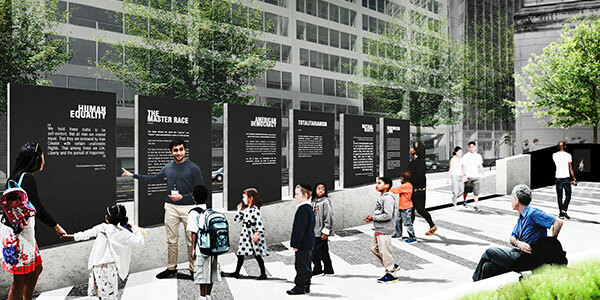 The name of the Horwitz-Wasserman Holocaust Memorial Plaza honors the generous contribution of the project’s lead donor, Alan Horwitz, and, in memorium, Mr. Horwitz’s friend and mentor, Sam Wasserman, a Holocaust survivor. 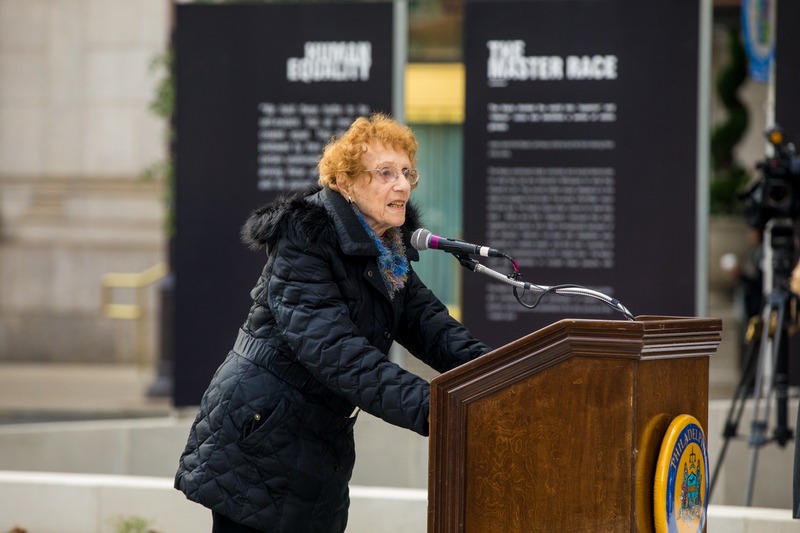 Sam Wasserman’s story of Holocaust survival is one of both tragedy and hope. 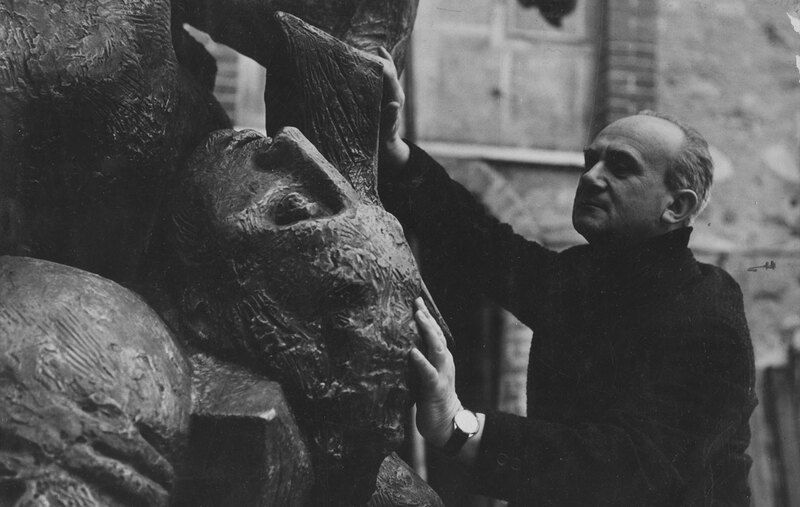 He was imprisoned by the Nazis in 1942 at Sobibor in Poland, where he lost his first wife and two children. Sam was kept alive and forced into daily labor until, one day, he escaped during an organized rebellion. He then became a partisan and fought against the Nazi regime. Wounded in battle, he was sent to a hospital where he met is second wife, Sophie, with whom he began a new family that first emigrated to Israel, and then the United States. 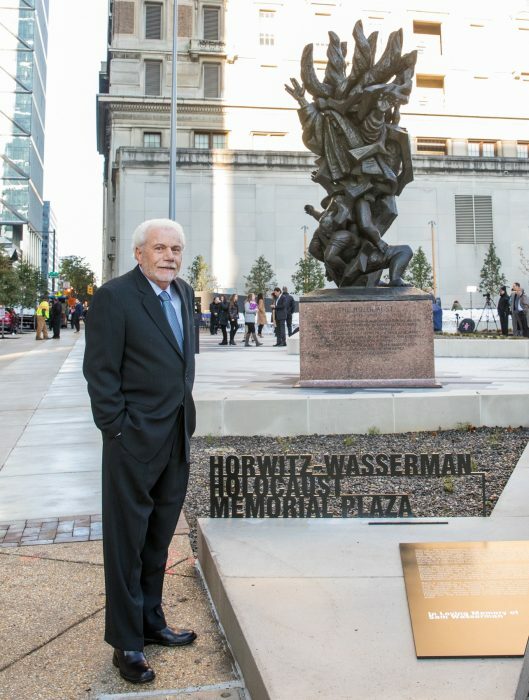 As the Wasserman family settled down in Philadelphia, they became friends with the Horwitz family. Alan Horwitz, who was just a boy at the time, had lost his father, and Sam Wasserman became his mentor and surrogate father. 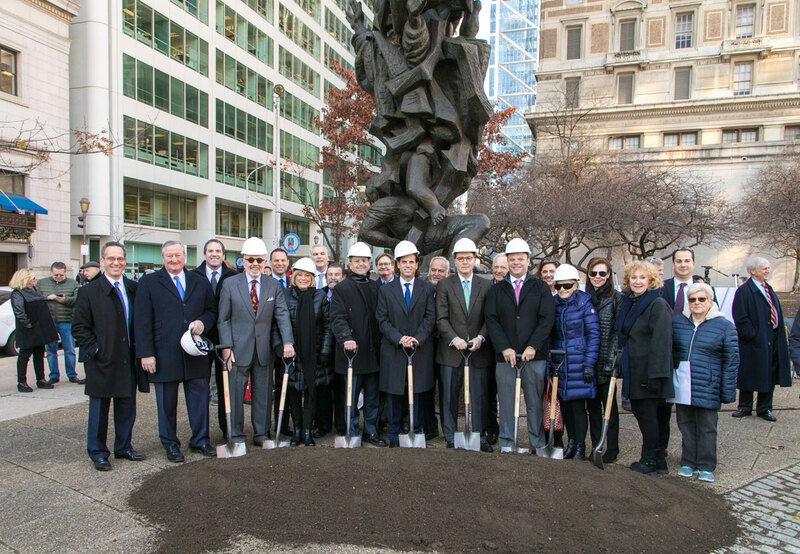 In addition to playing an important role in Alan’s life, Sam and Sophie Wasserman raised a family that now has three new generations, including grandson David Adelman, the Board Chair of the Philadelphia Holocaust Remembrance Foundation. 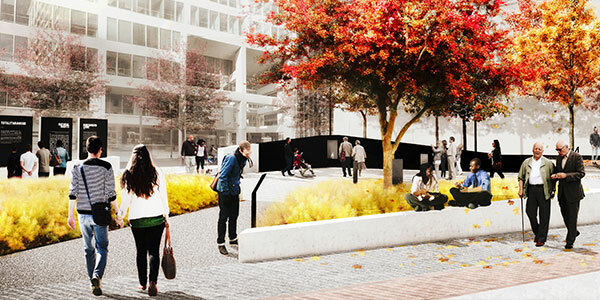 Alan Horwitz’s generous gift honors Sam Wasserman’s values of hope, remembrance, and resilience through the creation of a public memorial space. 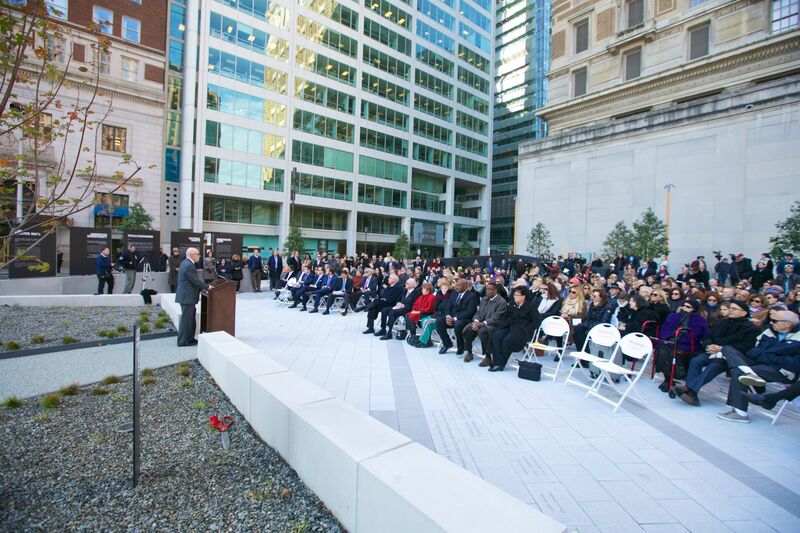 On Monday, October 22, 2018, the Philadelphia Holocaust Remembrance Foundation hosted an Opening Ceremony for the new, state-of-the-art Horwitz-Wasserman Holocaust Memorial Plaza on the Ben Franklin Parkway at 16th Street. 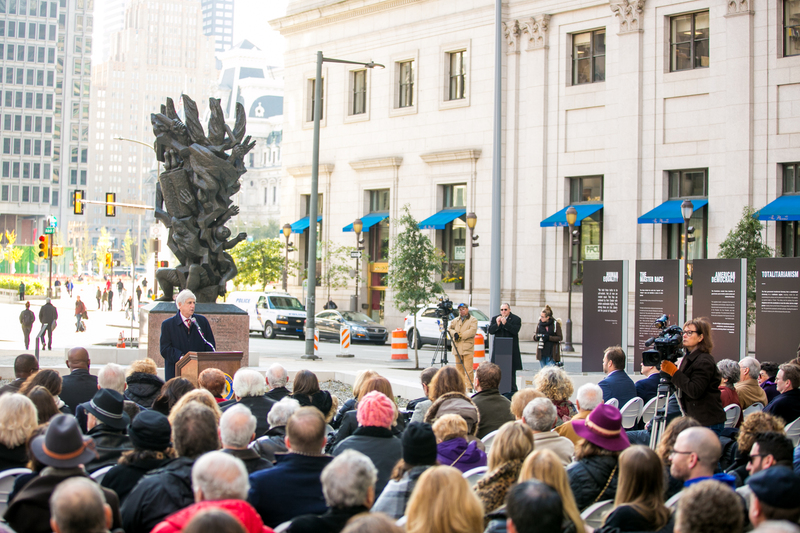 Approximately 400 people attended the event, including over twenty Holocaust survivors. 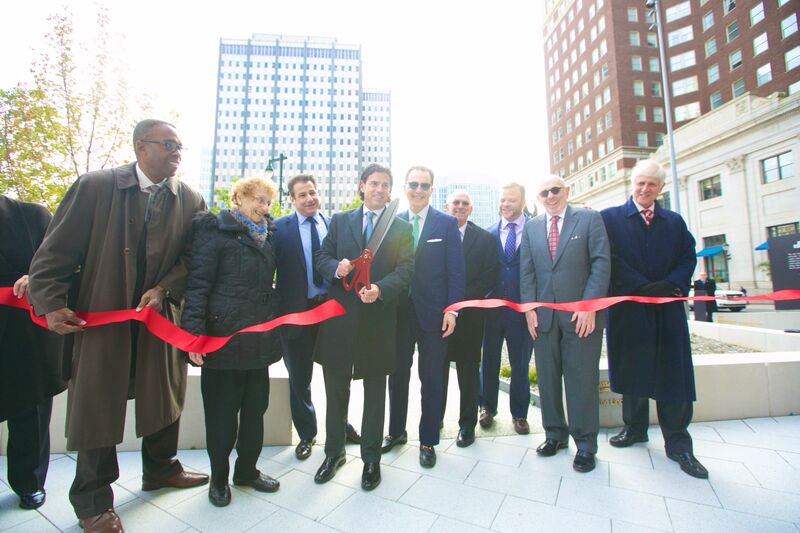 After remarks by PHRF Board Members, public officials, and a Holocaust survivor, the ribbon cutting commenced and the Memorial Plaza officially opened to the public. 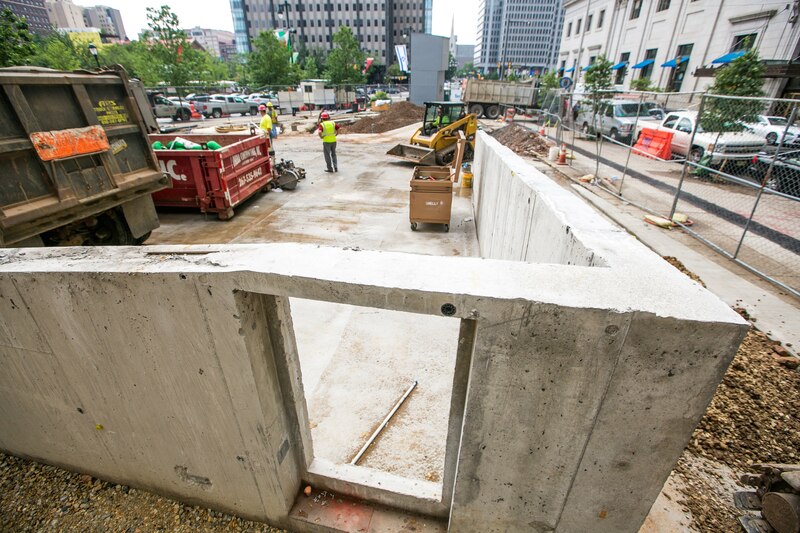 Its overall design and specific interpretive features help visitors to learn, reflect, and remember.